The video has been updated to look forward to the 2020 festival. and use X for a full screen view. If the video does not start please click here. Thank you for your interest in the Vaughan Williams Festival. The Festival will not be taking place in 2019 but plans are advancing for the 2020 Festival 28th to 31st August . Please save the dates. A sincere and profound thanks for all the incredible support in making the inaugural Vaughan Williams Festival 2018 such a resounding success. 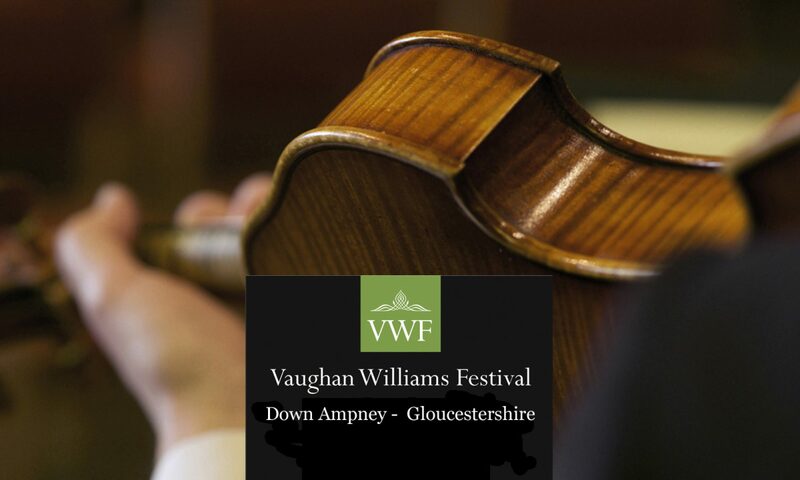 I am delighted to confirm that the next Vaughan Williams Festival at Down Ampney will take place over the August Bank Holiday weekend 28th – 31st August 2020. Once again the Festival will present an array of world-class musicians, as we continue to pay homage to Vaughan Williams, alongside his friends, contemporaries and disciples. The Festival will feature many of the exciting aspects of 2018 and in addition a number of new initiatives and experiences for our audience. Please save the dates and join us for what will once again be a truly memorable occasion. Full details concerning programmes and events will appear here in early 2020.